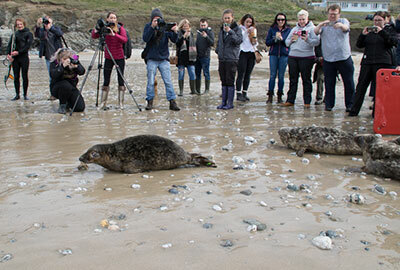 Grey seal pups Alfred, Charlestown, Grambler, Warleggan, Ted and Crofty were all released at Porthtowan Beach. The planned release is a major operation involving several members of the Sanctuary team. 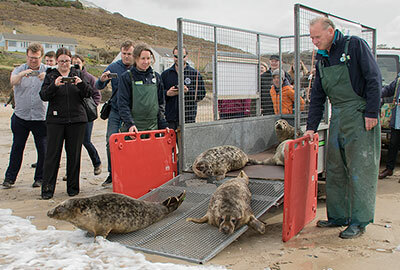 The rehabilitation pool was drained, and then each pup was herded into a cage and then transferred to a trailer which was then driven onto the beach to be safely released. Usually as soon as a pup has reached 40kgs and has received a clean bill of health they are then released back into the wild. 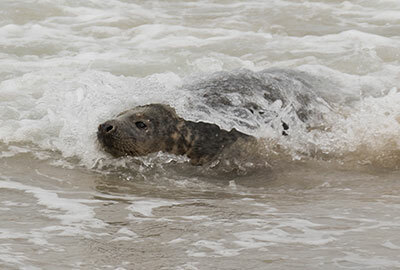 There are a variety of reasons as to why grey seal pups need to be rescued, from malnutrition to being separated from their mum at just a few days old. This particular release included two pups who have had amazing recoveries from serious injuries. Ted was rescued on 16th December 2017 from Gwithian Beach with a broken jaw, suspected to have been a casualty of the storms. After the vet had stabilized Ted with antibiotics and pain relief he was then given general anaesthetic to wire the jaw back together. Two months later the jaw was solid and the vet was finally able to remove the wire, and Ted has been feeding throughout, other than a wonky smile you´d have no idea what this brave little seal had been through. Charlestown only has full vision in one eye. He had a badly ulcerated eye that required 2 months of eye drops and antibiotics and regular vet check-ups. The eye is now healed but he has little vision in that eye. 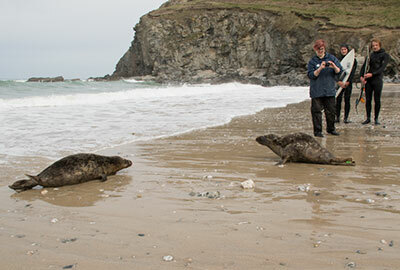 The team have been watching him closely to assess his ability to find fish and compete with the other seals. No one has told Charlestown that he doesn´t have the same sight as the other pups - these amazing seals just learn to adapt. He has competed so well that he is now one of the larger pups and was ready for release. 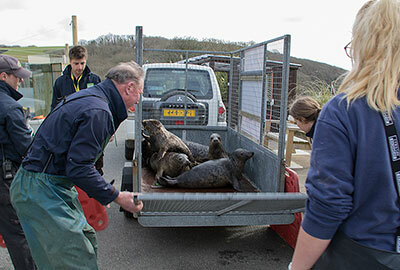 Tamara, the Curator at the Cornish Seal Sanctuary said "We are all so pleased to have been able to release the pups on 27th March 2018; the first release is always particularly special and even more so as it´s our first release as part of the SEA LIFE Trust." "We´ll miss them because we´ve got to know them all so well," she added, "but at the same time it is great to see them back in the wild where they belong." The sanctuary plan to continue releasing Pups as soon as they are a healthy weight and well enough to return back to the wild. 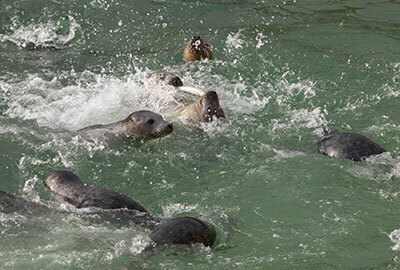 Click here to see more photos of the seal release.